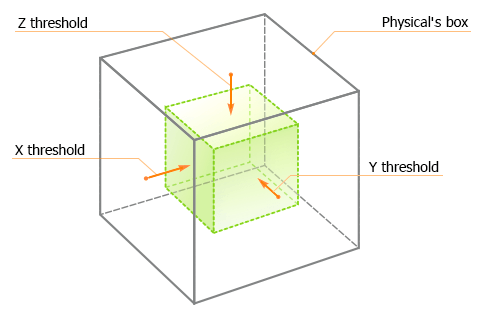 A physical wind is a cuboid shaped area that simulates the blowing wind inside of it. The wind velocity can gradually decrease up to box boundaries. 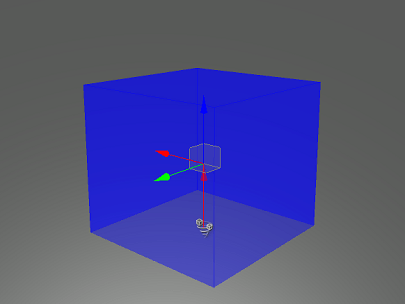 The object's bounds must be inside the physical wind box. A physical body must be assigned to the object. The physical wind can affect only a cloth body or a rigid body. If the rigid body is used, a shape should be also assigned. The wind differently affects objects with different physical properties. Therefore, in addition to editing physical wind parameters, you should adjust parameters of the physical body. 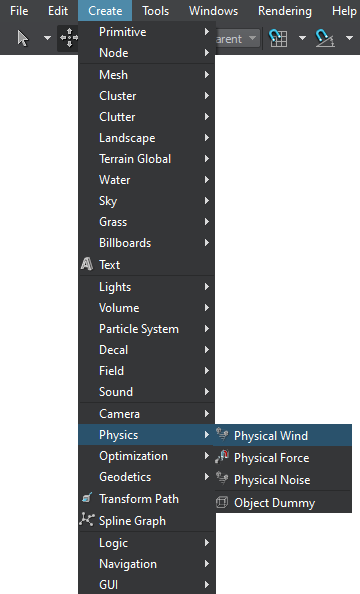 On the Menu bar, click Create -> Physics -> Physical Wind. Click somewhere in the world to place the physical wind node. 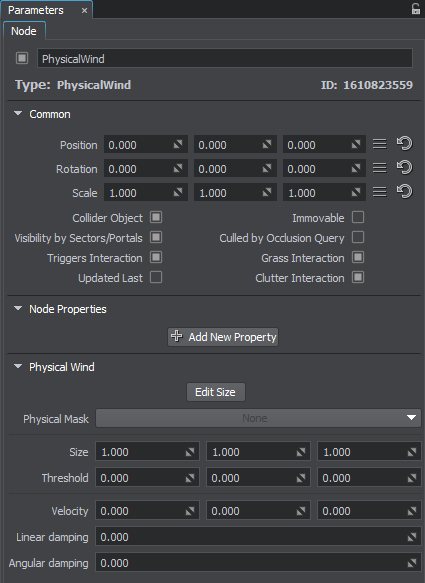 The new physical wind node will be added to UnigineEditor and you will be able to edit it via the Parameters window. By default, the size of the node is 1×1×1 unit. Toggles the editing mode for the physical wind node. When enabled, the physical wind box sides that can be resized are highlighted with the colored rectangles. To change the size of a side, drag the corresponding rectangle. Physical mask. The physical mask of the physical wind must match the physical mask of the physical object. Otherwise, the physical wind, inside which the wind flows with the specified velocity, won't affect the object. Size of the physical wind box along the axes in units. Threshold distance along the axes. The threshold determines the distance of gradual change from zero to full wind velocity. These values are relative to the size of the physical wind box. It means that the threshold values should be less than the size of the physical wind box. Velocity of the physical wind flow along the axes. Value indicating how much the linear velocity of the objects decreases when they get inside the wind node. The higher the value is, the lower the linear velocity will be. Value indicating how much the angular velocity of the objects decreases when they get inside the wind node. The higher the value is, the lower the angular velocity will be.